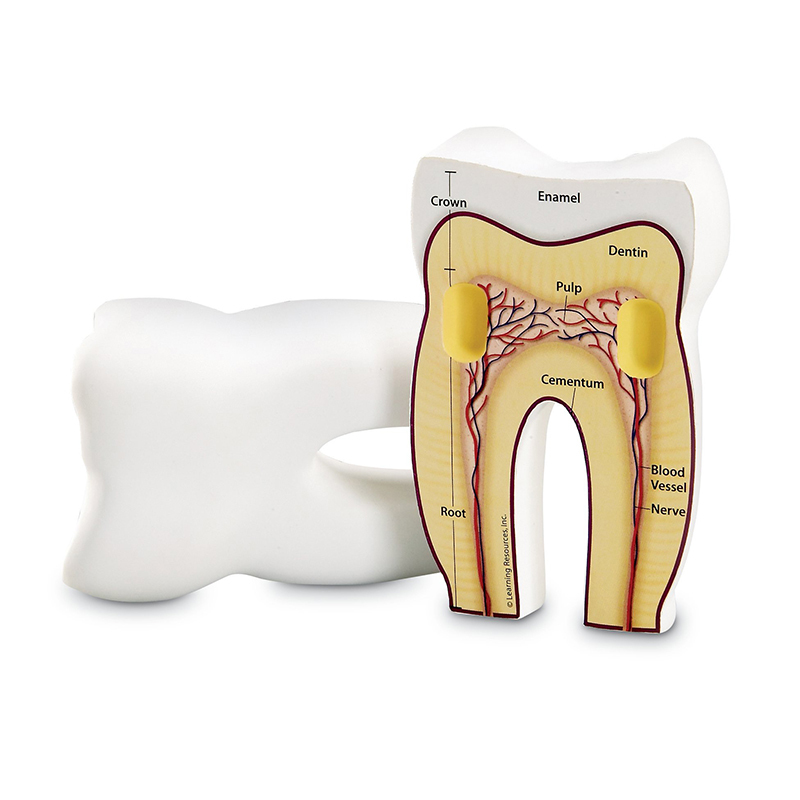 Show students what's beneath the surface of their own teeth with this 5" foam cross-section model. 2-part model is labeled on one side with the main parts of a tooth: enamel, dentin, pulp, cementum, nerves, blood vessels, root and crown. The other half is labeled with letters for assessment. Included Activity Guide features facts about teeth, dental hygiene and related activities.